Andrew is a founding member of Epworth Sports and Exercise Medicine Group, where he has a diverse full-time practice. He sees patients of all ages and physical capabilities, with sporting and everyday injuries. Andrew’s aim is to assist people of every skill level to maximise their health and wellbeing through exercise. A passion for sport and a medical degree was the perfect combination for Andrew’s career as a Sports and Exercise Medicine Physician. 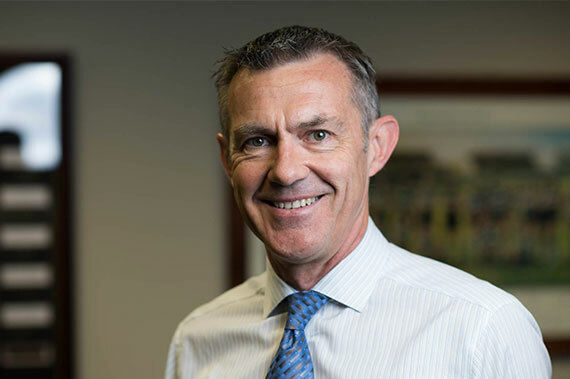 A state representative in amateur football and schoolboys’ cricket, he graduated with honours from Monash University in 1986. Then followed a Diploma of Anatomy, a Certificate of Sports Medicine and an appointment teaching anatomy at Stanford University (USA), before gaining his Australasian College of Sports Medicine Fellowship in 1994. He is currently on the medical staff of the Richmond Football Club. His involvement in sports medicine extends to a deep interest in teaching. He is a clinical training supervisor and examiner for the Australian College of Sports Physicians, as well as an AFL Doctors Association mentor. Andrew is on the Australian Open tennis medical staff and has been medical consultant to Cirque du Soleil for the company’s last three Melbourne tours. He was also Deputy Director of the Athletes Village Polyclinic at the 2006 Melbourne Commonwealth Games. Andrew practises what he preaches, enjoying running, gym, yoga, playing tennis and hiking.